Last month, HAI was fortunate to have the opportunity to co-host a panel event with the UW Global Health Resource Center on Iran’s impressive achievements in primary health care. The event, “Fulfilling the Alma-Ata Vision: Iran’s Remarkable Story of Achieving Health for All,” highlighted the significant health advances Iran has achieved through emphasizing community, family and environmental health in rural settings, while pointing to ongoing challenges and reforms. We wanted to take this opportunity to discuss a few of the dominant themes of the discussion, and hopefully encourage you to learn more about Iran and the primary health care model. The Alma Ata Declaration (1978) was a revolutionary document endorsed by the WHO and its member states which marked a global recognition that health and access to primary health care (PHC) are fundamental human rights for which governments are responsible. 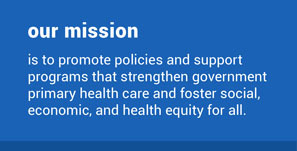 The Alma Ata declaration endorsed a community-based approach to health care which focused on access to preventive care in rural and poor settings. In many countries around the world, the Alma Ata approach quickly gave way to Selective Primary Health Care, which shifted away from comprehensive health care goals to a more focused, low-cost approach for a few health services. The panelists discussed how, since 1975, the Iranian public sector has provided primary health care services to even its most rural populations via health houses staffed with Community Health Workers. These health houses link to a multi-tiered network of health centers and district teaching hospitals. One panelist mentioned a wide range of services complemented with impeccably recorded data. Another pointed to the significant decreases in fertility and child mortality over the last 40 years, and the regionally high life expectancy of 74 years. This approach has been so effective in eliminating health disparities between rural and urban populations that it inspired the Iran/Mississippi Delta Rural Health Care project which aims to emulate Iran’s PHC model in rural Mississippi. If what you read above surprises you, that wouldn’t really surprise our panel. Two of the panelists gave detailed personal accounts of life in Iran, breaking down stereotypes of Iranian life even among panel attendees. The fact that these notable advances in health care have gone virtually unnoticed outside of Iran has a great deal to do with US politics and media talk about Iran. Even the Iran/Mississippi Delta Rural Health Care project, in which 15 communities in rural Mississippi are using the health house model to improve health service delivery in the Delta region, has faced severe roadblocks due to the fact that the proposed system is based on an Iranian model. Despite its relative success, the Iranian health care system still faces challenges both universal to health care delivery, and contextually unique to Iran. In the urban setting, challenges of health care financing has continued to push providers toward privatization of services. However, as of 2015, a new financing scheme funded through sales tax aims to provide universal coverage of 90% of the cost of health services to Iranians. Additionally, sanctions imposed by Western countries on the import of medical and other supplies has forced Iran to look to other sources for its supply chain needs. One panelist pointed out that this has served to build self-sufficiency, at the cost of time and service quality. Thanks so much to our four panelists, Nazila Dabestani, Dr. Sara Gharib, Dr. Mohsen Naghavi, and Dr. Ali Rowhani-Rahbar, as well as to the panel moderator Dr. Nassim Assefi, for their contributions, and their willingness to help share Iran’s progress with our community here in Seattle.